Catherine’s representatives receive check and add to knowledge through livestream panel conversation. Catherine’s Health Center participates in AstraZeneca livestream conference to share knowledge and experience gained through implementing grant. Press Release: AstraZeneca HealthCare Foundation Connections for Cardiovascular Health convenes conference to disseminate knowledge on improving cardiovascular health through safety net clinics. Catherine’s participates in livestream event. 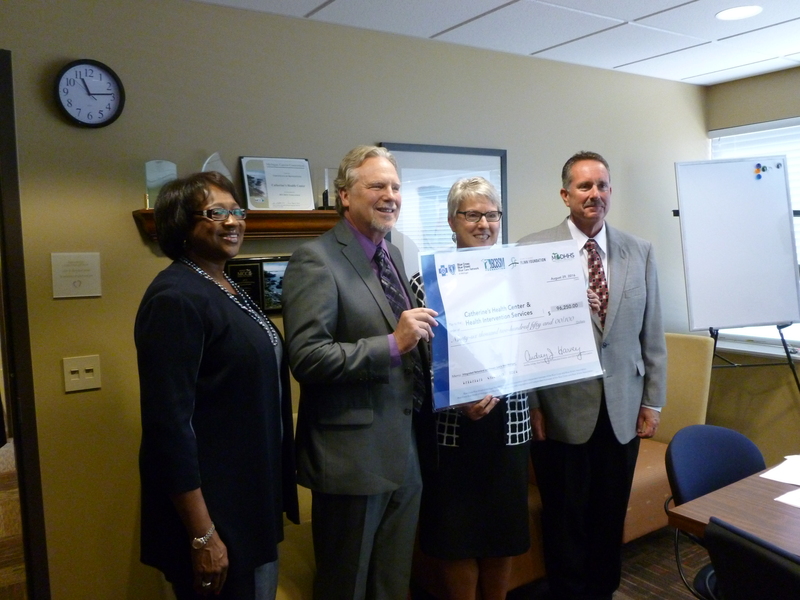 Blue Cross Blue Shield Foundation and partners provide shared grant to Catherine’s Health Center and Exalta Health (formerly Health Intervention Services) to integrate behavioral health with primary health care for at-risk populations.